The 2018 Special Olympics USA Games provide many exciting opportunities, not only to those who qualified, but to community members and families as well! One of the exciting opportunities made available to the community is the free Young Athletes Festival open to children with and without intellectual disabilities ages 2-7 to participate in at various venues in Seattle during the Games. Young Athletes is a sport and play program that is researched based provides children with sport readiness and motor skill development. We’d like to invite children ages 2-7 and their families to be part of the USA Games action by participating in the FREE Young Athletes Festival. All children registered before June 6 will receive a t-shirt and 2 tickets (1 child & 1 parent) to the Pacific Science Center and will also be entered into a raffle for a Strider 14x bike. The Young Athletes Event Flyer is attached. Sign-up individuals or a group today to guarantee their spot. 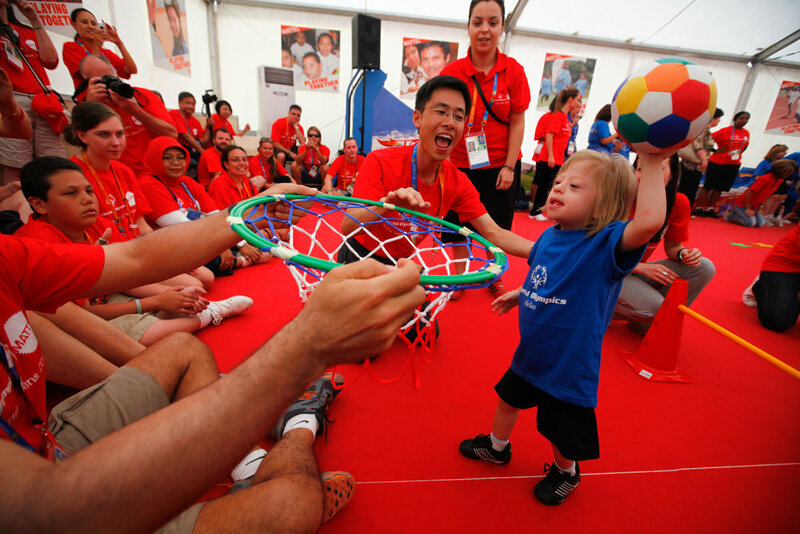 Special Olympics Summer Games offers lots of events and experiences for athletes and families. Find out what’s happening here.